Government launches plan to combat racism - SABC News - Breaking news, special reports, world, business, sport coverage of all South African current events. Africa's news leader. The legacy of a divided past continues to undermine the South African nation. Government has set up a National Action Plan to combat discrimination. Its aim is to provide direction to activists and institutions dealing with racism, racial discrimination, xenophobia and any other form of intolerance. Racism, Xenophobia and other forms of discrimination remain a blight on our democracy. The South African Human Rights Commission’s Advocate Bongani Majola they want to combat racism. 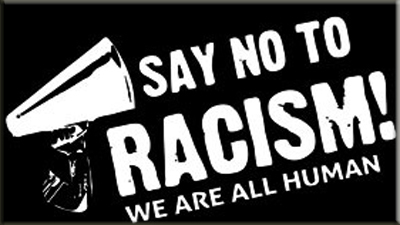 In 2001, the World Conference against Racism, Racial Discrimination Xenophobia and Related Intolerance adopted the Durban Declaration and Programme of Action. It urged countries to establish and implement policies to fight any form of intolerance. It was launched in honour of the late struggle activist Ahmed Kathrada. Deputy Justice Minister John Jeffreys says combating racism should be a united effort. This entry was posted on 25 Mar 2019,08:12PM at 8:12 PM and is filed under South Africa, News, Homepage Featured Story Slider. You can follow any responses to this entry through the RSS 2.0 feed. Both comments and pings are currently closed.